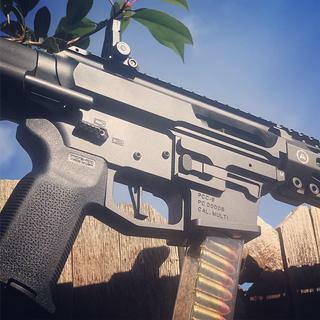 Machined tolerances of +/– .001"
For the widest selection of Modern Sporting Rifles Parts and Accessories at the best prices, shop Palmetto State Armory! As this is for a 9mm AR is it also fine for a standard .300BO or 5.56 AR? CAN I USE THIS IN A RUGER AR-15 556? 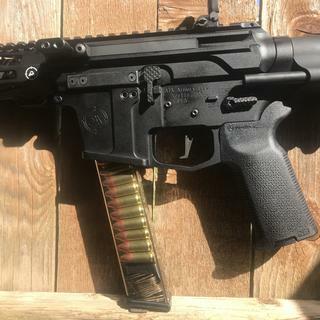 Will this work in an MPX? Can anyone confirm this works with the PSA G4-9 hybrid bolt without reset issues? BEST ANSWER: Just confirmed it was flawless in mine. Will this work in an AR15 5.56? Yes, this will work with ar15 5.56. I called cmc to confirm. It is OPTIMIZED for 9mm, not ONLY for 9mm. Has a different size hammer. Get the ar15 one instead of ar9. Will this work for a .22 conversion? Everything I hoped it would be and for a great price. Exactly what I wanted. Removed the old trigger, it dropped right in and worked perfect. Took maybe 5 minutes to install. I wanted a light trigger with a quick reset to shoot fast and it does exactly that. It’s firm but light and crisp. Nice trigger. I would recommend it to anyone looking for an awesome trigger at a great price. Easy to install. Works much better than a stock Mil Spec trigger. Very clean break. No take up at all. Even if you know what you’re getting into it’s still surprising at first. Not a drop in trigger. One of the anti walk pins did not have threads on the inside so I could not put in the screw. CMC did not return any of my emails and I had to purchase a replacement part. The unit also had to be shaved to fit into my CMMG lower so its not really a drop in trigger. Would not recommend. Awesome trigger! Short take up, crisp break and a great tactile/audible reset. 3.5 lbs never felt so light. Definitely recommended for your AR-9 build. This trigger won’t break your firing pins. Great trigger! Easy install. Works well for new frontier and joe bob ar9 parts. Definitely reccomend!